Senator Cory Booker announced Friday he is running for US president, joining a widening field of Democrats seeking their party's nomination to take on Donald Trump in 2020. The New Jersey native, who made the announcement in a video, is the second African-American to throw their hat in the ring, following Kamala Harris. "I am Cory Booker, and I'm running for president of the United States of America," he said in a video and email sent to supporters. Booker highlighted his roots in a racially divided Newark, the New Jersey city that launched his political career first as its mayor and then as the state's first black US senator. "Together, we will channel our common pain back into our common purpose. Together, America, we will rise," he said. 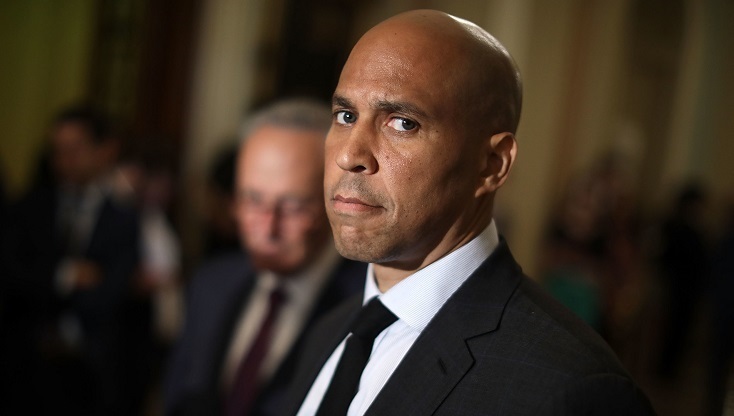 Booker, 49, has joined a crush of Democrats vying to run against Trump in next year's presidential elections. They include Harris, a Senator from California; Massachusetts Senator Elizabeth Warren; former San Antonio, Texas mayor Julian Castro; Hawaii congresswoman Tulsi Gabbard; and New York Senator Kirsten Gillibrand. Also considering a run is former vice president Joe Biden. Former Starbucks CEO Howard Shultz, a billionaire one-time Democrat, made waves on Sunday when he said he might run as an independent.